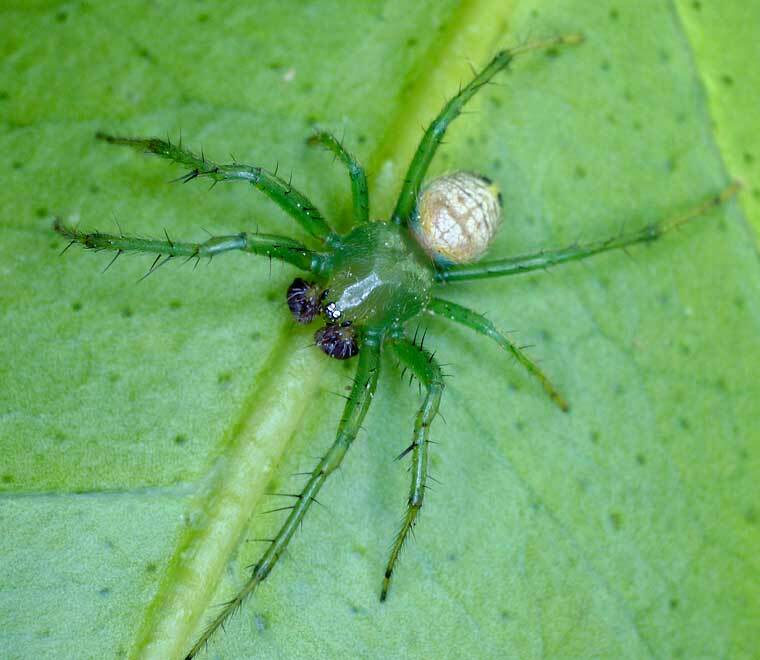 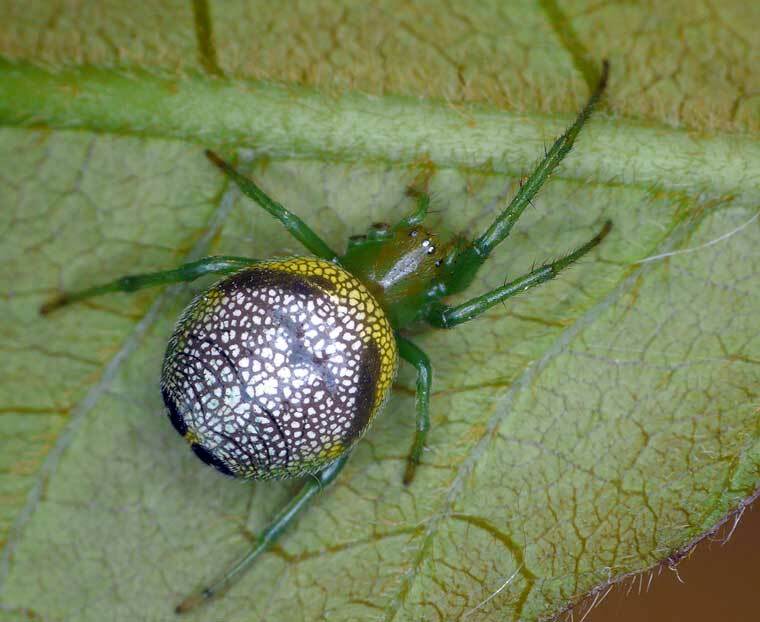 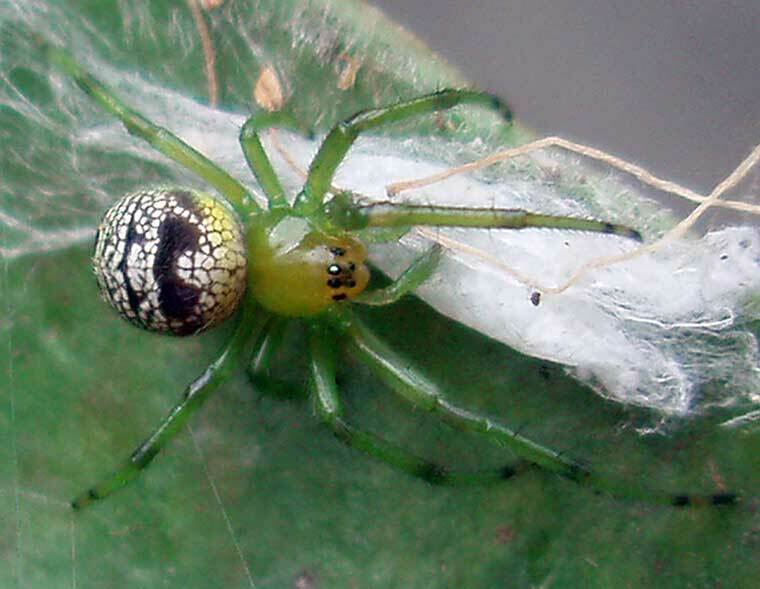 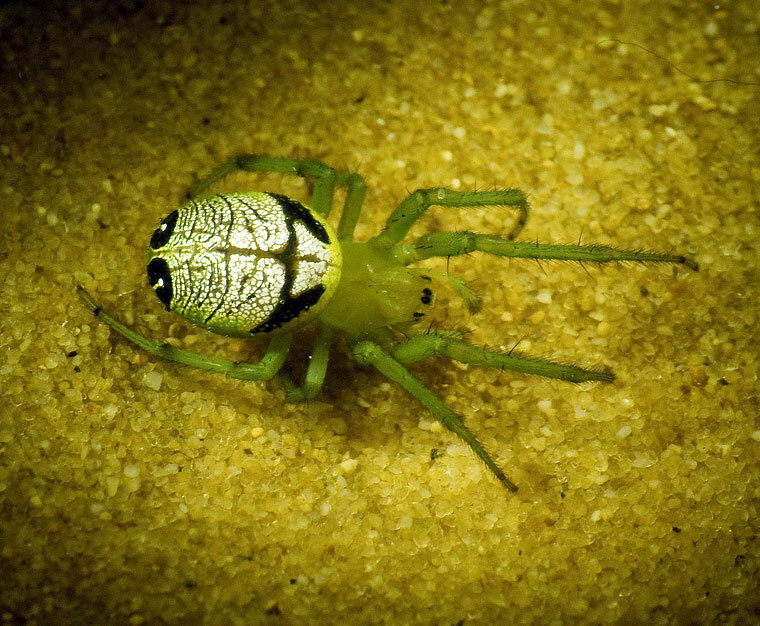 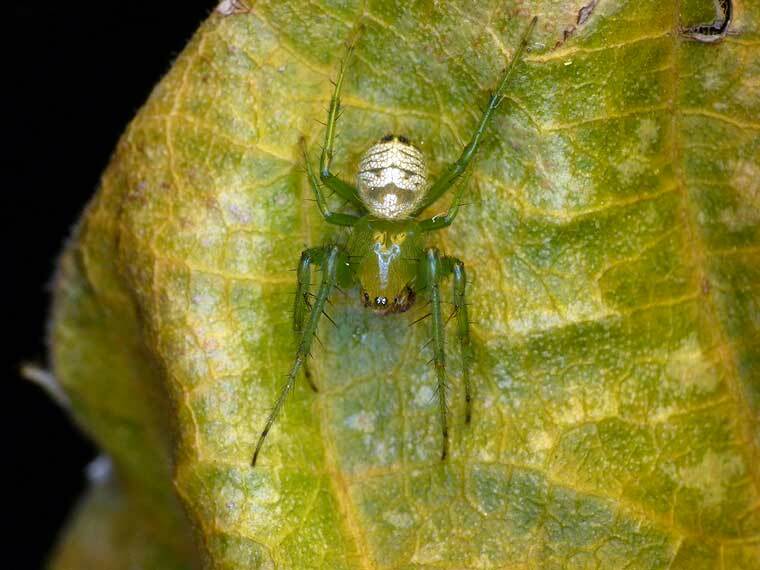 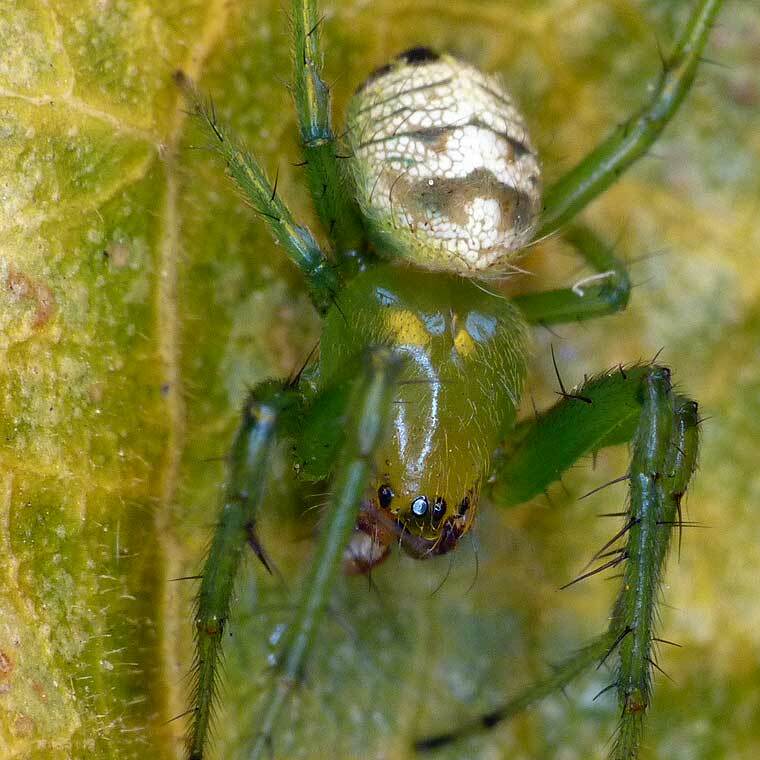 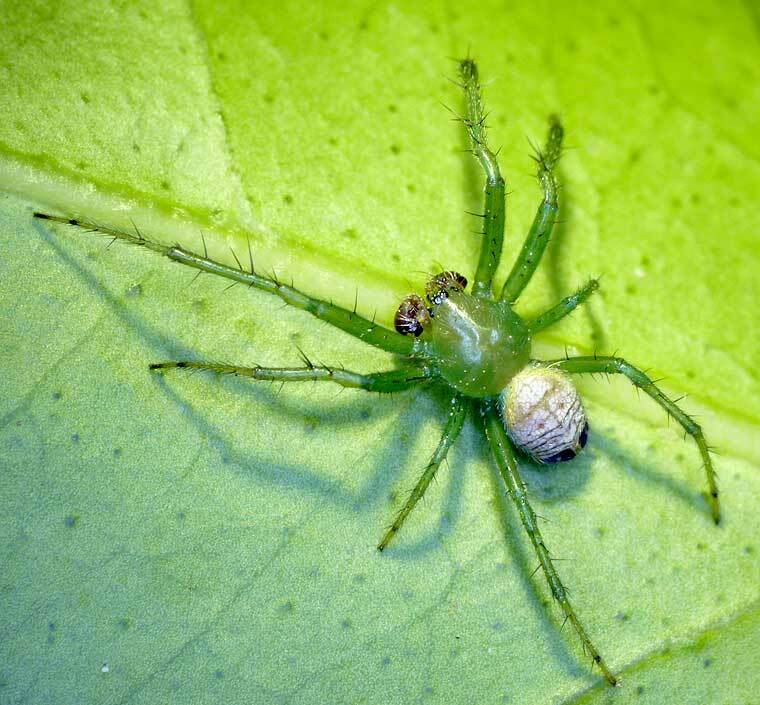 This pretty spider builds a small orb web in green shrubs at night, during the day hides in a retreat formed by binding a curved green leaf with silk. 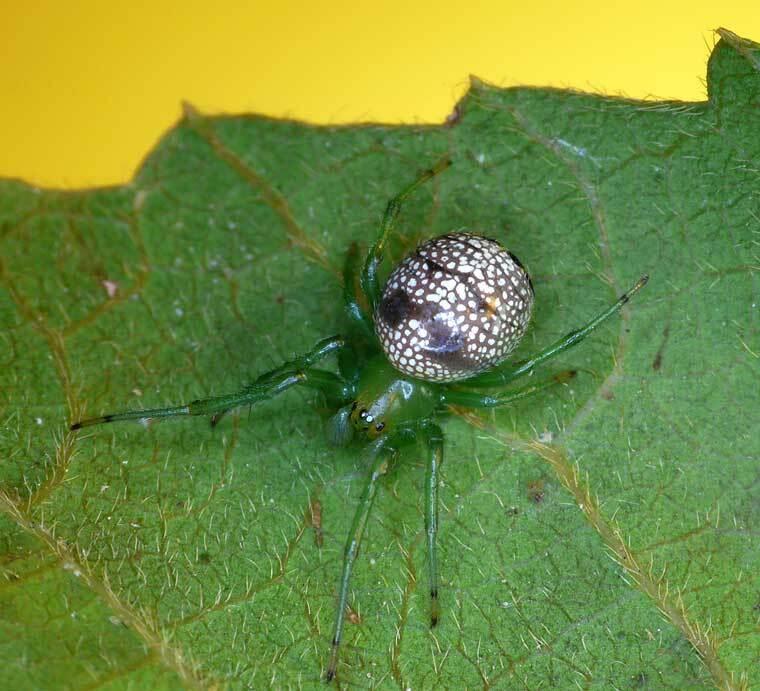 This retreat is probably also used for rearing young from eggs. 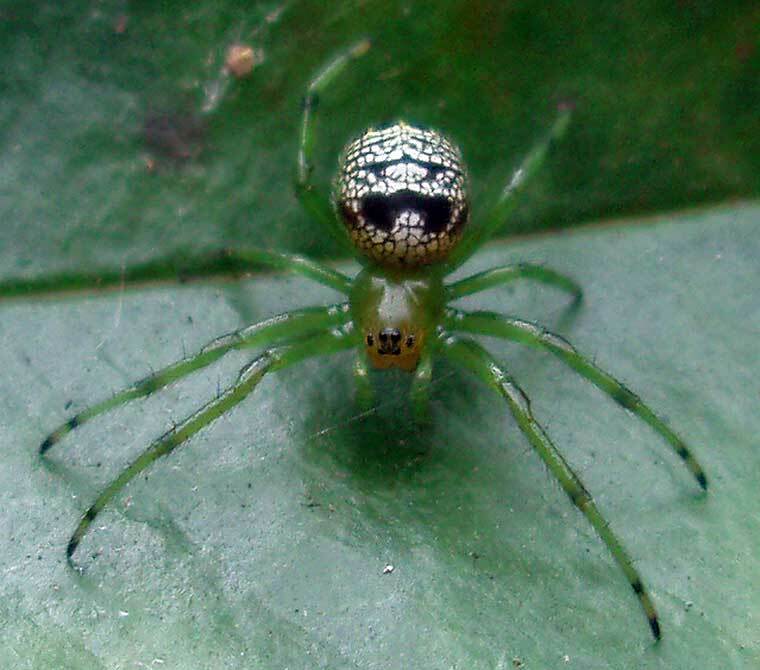 The body length of the adult female up to 8 mm, male about 6 mm. 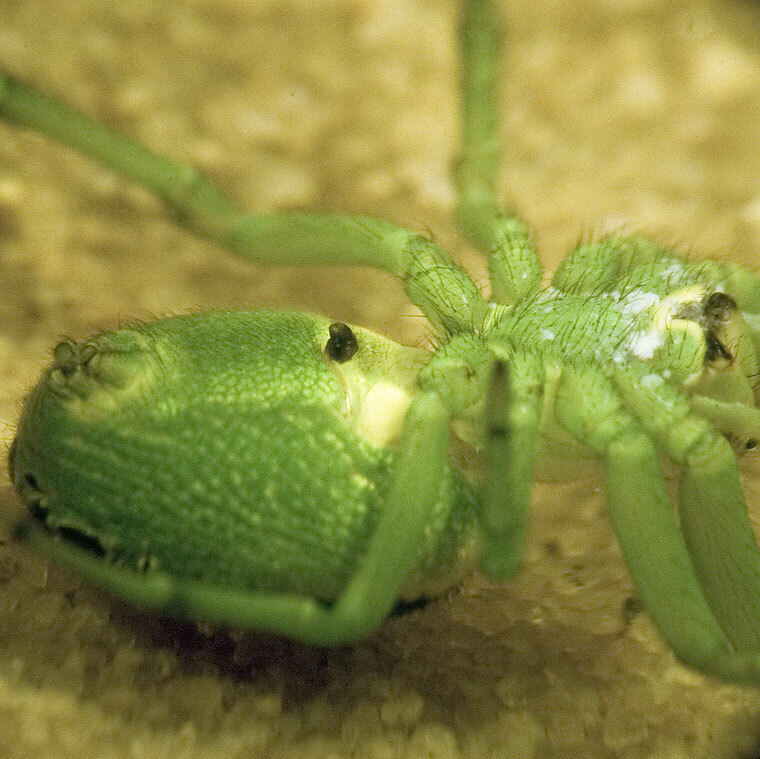 Body length about 7mm. 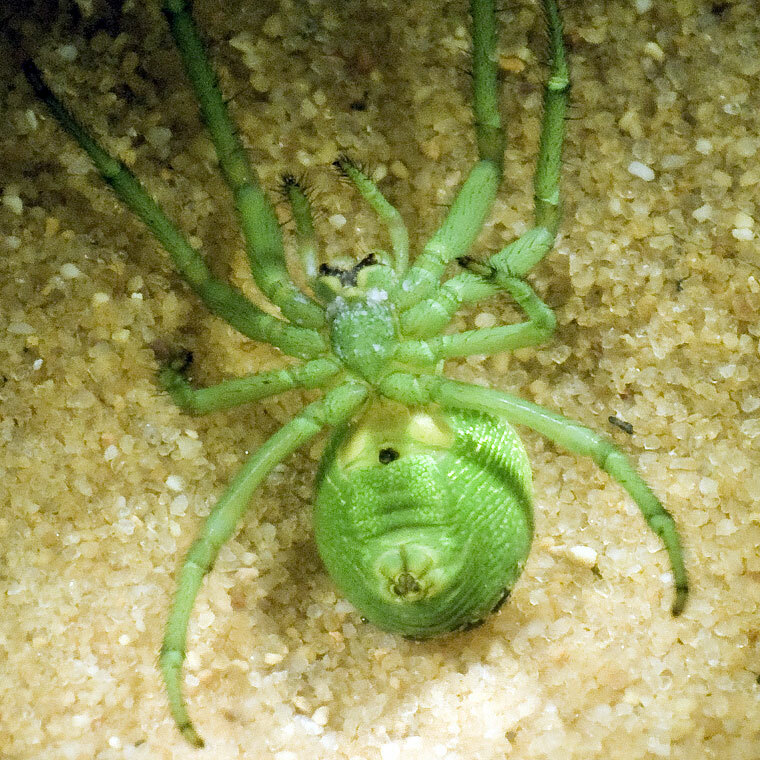 A large, pregnant looking female.